LS-Live and Backstage Academy have joined the community benefit co-operative set up to restore the Grade II listed Unity Hall in Wakefield, West Yorkshire. 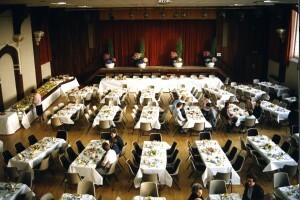 The venue, which was a much used event space following its establishment as the Wakefield Co-operative headquarters in 1867, has been closed for the last decade. Unity House Wakefield Limited was formed in 2011 with the intention of raising funds to restore the building and turn it into a major music venue, conference centre and location for creative businesses. The development team, led by Director Chris Hill, raised £4 million of funding to restore the structural elements of the venue, but its bid to the Arts Council for £300,000 to finish the interior of the building was declined. Stage, set and studio company LS-Live, and its affiliated industry training centre Backstage Academy in South Kirkby, Wakefield, have invested in the co-operative and will be providing consultancy on the technical specification of the venue. Together with Theatre Royal, which is situated opposite Unity Hall in the city centre, Backstage Academy will support the venue’s events programme with staff and students. 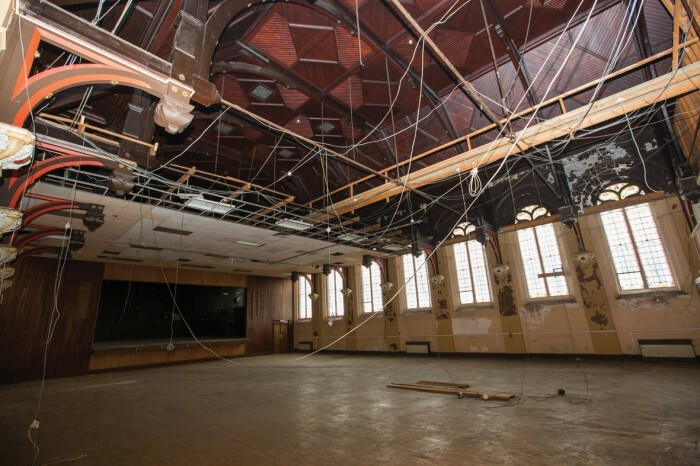 Said Backstage Academy co-founder and director of courses, Robin Watkinson: "We are very keen to see this iconic Wakefield building restored to its former glory. The city is undergoing a huge amount of regeneration at present, and with our estimated growth and influx of new students this November, we are looking forward to helping develop an exciting event space for Wakefield, which will also become a new, high-tech learning environment for our students." LS-Live managing director and Backstage Academy founder, Adrian Brooks said: "Having lived in Wakefield for over thirty years and having been in business in the city for the majority of that time, it is with some considerable pride that two of those businesses are now able to take a leading role in restoring this once great and iconic building. Buildings are only buildings of course, and at the end of the day it's what goes on inside them that really counts. "This is where I hope we are really able to make a difference to the Unity project, by helping to create wonderful spaces where musicians can perform, students can learn, people can meet, ideas can be shared, and some great times can be had by all." The space will be turned into a 600-seat (800 standing) live music venue, a 150-seat function room, office and meeting spaces, exhibition space, retail space and eateries. The co-operative will be governed by its member shareholders on a one-member, one-vote basis, with groups forming around music programming and business. A fundraising event is being held at The New Inn in Walton, Wakefield on Thursday July 11 from 6pm onwards where guests can hear about the plans for Unity Hall and buy shares in the co-operative. Developer Chris Hill and Backstage Academy’s Adrian Brooks will speak at 7pm and food will be provided. Contact chris.hill@unityhallwakefield.co.uk if you would like to attend.